The Chicago Art Institute, The High Museum, The Walker, The Uffizi, The Sistine Chapel- Homes of famous “you may look but don’t touch or severe penalty” masterpieces. I’ve stood in awe of many. But recently, at our local downtown museum, an awe that came to me was just as fresh as my first view of David or Starry Night. Goldi had a work of art displayed at the local art museum. It was a special art show. As we readied ourselves the morning of the big event, I flashbacked to the times I had given Goldi a box of crayons. Just a bunch of colored sticks to her. I allowed scribble, scratching, dotting, anything… Papers were blank nothings. An amazing something was hopelessly lost in the nothing plainness of paper. Then came stemming. 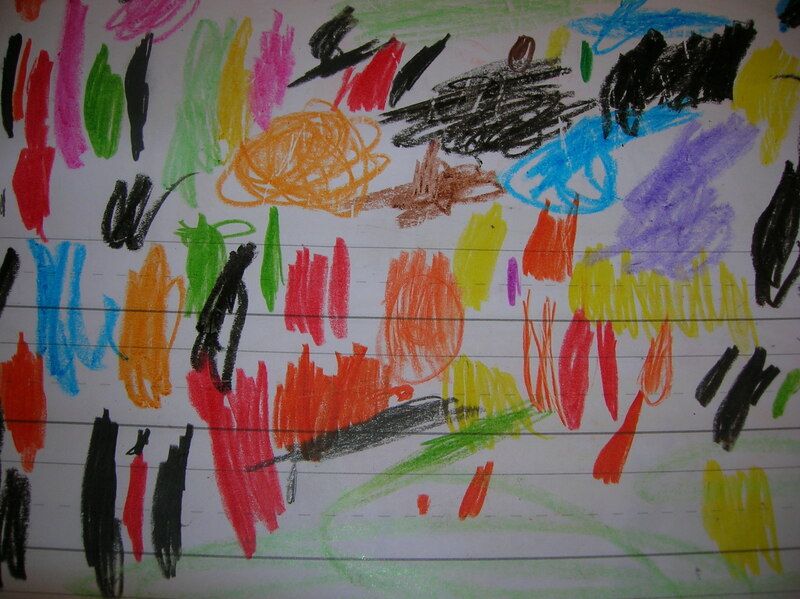 Hard colored bold blobs of crayon filled the page. She held the crayon tightly and squeezed every bit of color out that she could. 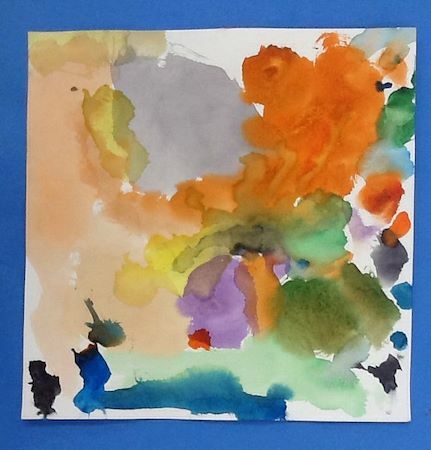 Her paper looked like a painter’s pallet. 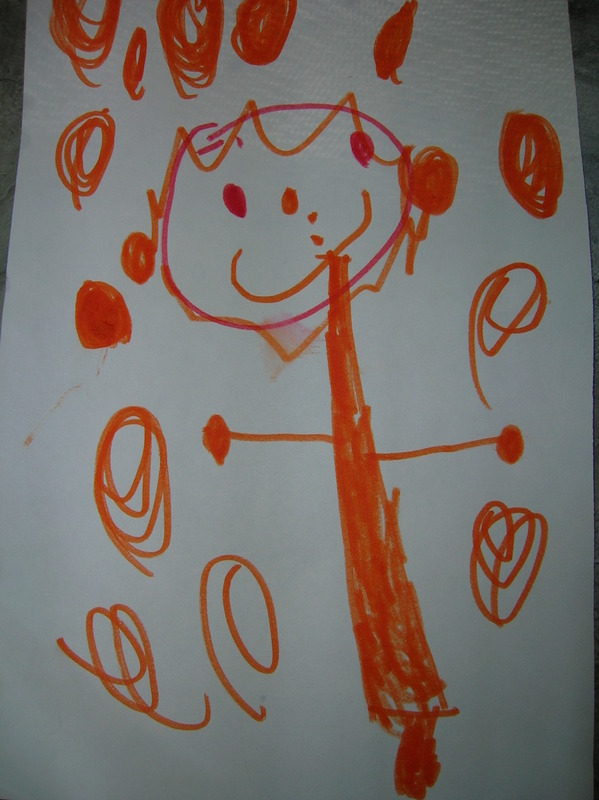 Then with direction, she drew a real person. I was elated. 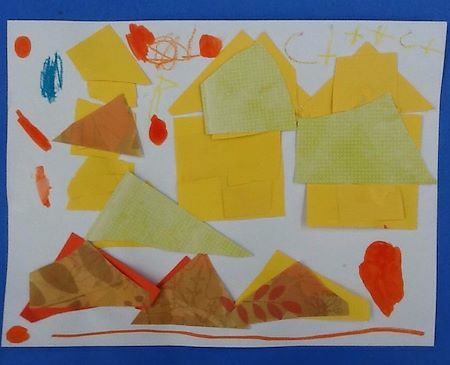 Finally, she could visualize, organize, and produce something meaningful! 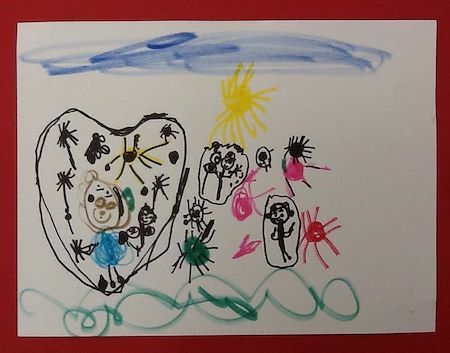 As a teacher, I knew that if she could draw then she would write. If she could write then she could read. As a mom, I knew that if she could express herself, she would shine! Goldi rested in her art for awhile. The art of creating a person with a smile and swirls around them- her art. It was routine. Perhaps this was all she thought she was “supposed to do”. It was somehow the way she saw all people. I had city population of swirly smiling people and held on to the hunch that there was more expression to this little artist than what my eye had met. We couldn’t wait to see our Goldi’s unique framed expression for a wider audience than those that pass our refrigerator. Goldi’s work was chosen. What she made was art in a museum! Once in the exhibit room, I searched nervously for Goldi’s picture. Goldi’s artistic flare almost called out to us. I paused and eyed the work all over. I attempted to muster up deep thoughts as though I was staring at a VanGogh or Monet. More smiling people with swirls. Some stars and sparkles added. One holding a magic wand. The sun and sky above. A sort of bringing together of what she knew to do with marker and taking baby steps towards something new. “I got the biggest thrill out of watching and listening to Goldi when she created this piece.” her art teacher piped in over my shoulder. She had called Goldi’s picture a “piece”. Not a piece of pie or a piece of lint. A piece of art! “Really?” I responded with a curious look. It was as though I had been hit with a pottery wheel. An artist in Goldi was being born. I just didn’t know art when I saw it. Looking carefully, I found more Goldi creations revealing the uniqueness of Goldi. “She’s so quiet and careful with a paint brush. ” her art teacher told me about this one. I look at Goldi’s dreamy blur. Claire De Lune plays in my mind and my soul is calmed. 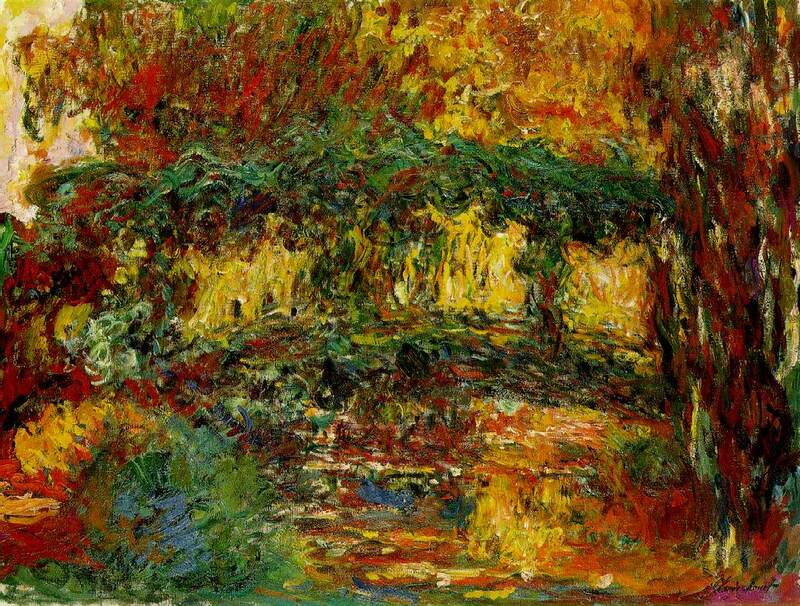 Goldi must have dreamed of Monet when she did this. I concluded. I was such a nose in the air art snob! Give Goldi, a brush, paper scraps, markers, and crayons and let her be. Let her express. Let the artist come out. Beauty is in the eyes of the beholder. Art is a unique expression. Goldi’s brushing, blurry, swirling, shapes here and there, smiley people art. Amazing and awesome like Monet, Salvador Dali (I had to refresh my memory on the directly above work) and most of all our Creator. Goldi’s art reveals the Master Artist. The Master Artist like no other and whom we stand in pure awesomeness. I think Goldi’s mom also writes like an artist….beautifully written.